Gigi's bake shop had a huge variety on their truck. Overall, the cupcakes they have aren't the most unique like some of the other shops around Chicago. But what they offer, they do well! Also, the lady on the food van/truck was extremely nice and actually makes deliveries! I would consider this a place as a "stumble upon like finding their food truck" kind of bakery... but I wouldn't walk to far to their store. This sort of reminds you of Thanksgiving. It is a play on pumpkin pie in my opinion... the spices were there but it just didn't satisfy my craving for pumpkin pie as I hoped for. 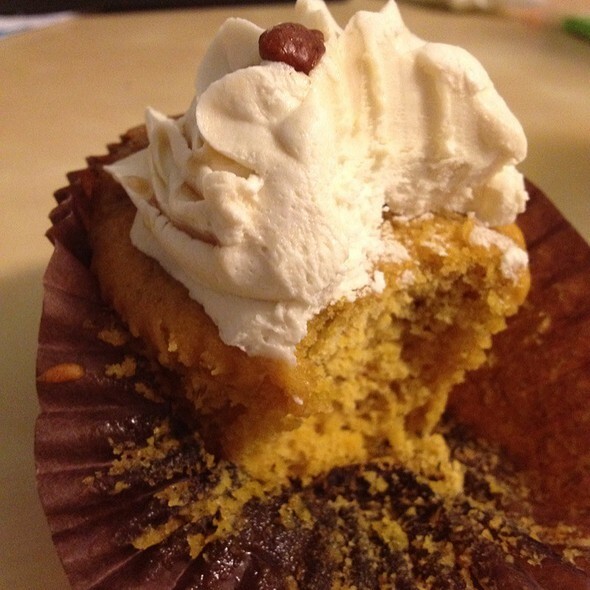 I initially bought this for one of my friends but she wasn't too happy with this cupcake either. The cupcake was extremely moist on this one... And had a lot of chocolate flavor. The icing was also extremely rich and chocolatey... adding those sprinkles made me enjoy it even more because of that slight texture difference. 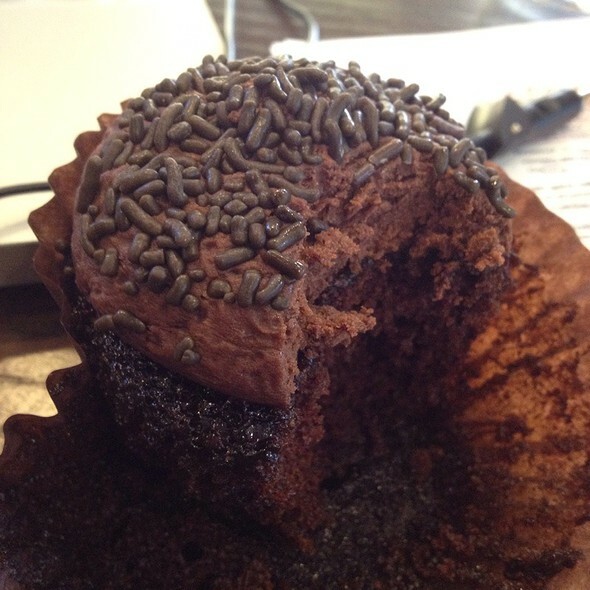 I actually enjoyed this cupcake with a nice cup of coffee! - I wouldn't go running after this truck or running to their store anytime soon. There are other cupcakes in the city that do a better job. But if you are around them definitely try it for yourself!